With 300+ plus days of sunshine a year, Denver has plenty of excellent patio situations. Here are some of our favorites. Small plates. Community tables. Limited reservations. Closed two days a week. It felt like the Populist made a checklist of things to keep us away. And for quite a while, we stayed away. Denver is awash in the played out small plate concept and community tables just make me wanna yell “No New Friends”. If your idea of a nice night out is sharing a bench with people talking about their kickball league or how wasted they got last night, more power to you. But this isn’t New York - we’ve got plenty of room out here and I don’t need to be up on some dude’s hip while I eat dinner. On top of all that, the place is only open 25 hours a week. Enough complaining though. We come to praise the Populist, not to bury it. Despite all advance annoyances, this place is absolutely incredible. The constantly changing menu is diverse and full of strong flavors. And while there are a lot of different cuisines and styles going on, nothing feels out of the kitchen’s wheelhouse. You can taste when a restaurant is beyond its depth and there’s no risk of that here. 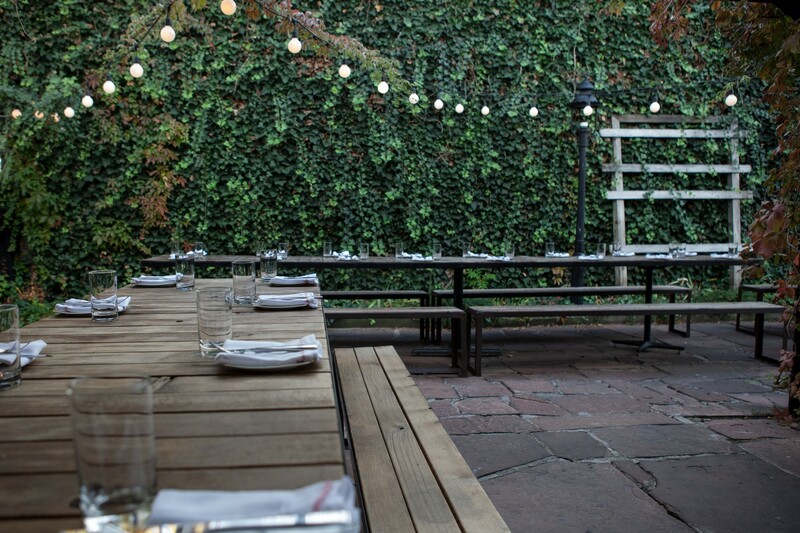 The open-air patio at The Populist feels like a Goop post brought to life. With ivy and strung lights it’s a real oasis and, given its distance from downtown, is largely devoid of traffic noise. You may have to endure copious mentions of the words “craft” and “artisanal” from your neighbors, but the scene is pretty great otherwise. We have to give special mention to the service, primarily for the tandoori chicken recommendation. That dish is straight amazing and one of our new favorites in town. Duck rillette with side business. The duck is rich and savory and goes well with crispy bread and mustard seed. Promising stuff here and a nice option for happy hour. Basically deconstructed Indian food. We like the beets and curry spices quite a bit, but we would appreciate more yogurt as the dish was a bit dry. Solid overall. Bright, refreshing and well dressed. This salad is rabbit food at its best. The goat cheese schmear on the bottom of the plate was a great idea and we loved the farro in the mix as well. Best dish at The Populist without question. This chicken takes 25 minutes to make and it’s worth every damn second. The kale saag and lentils one the plate are incredible and that spice rubbed chicken...good lord. An absolute must order. The spicy and tender octopus here at The Populist is superb. The only problem with this one is the rice noodle, which doesn’t quite hold up to the spice and salt of the dish. Something more substantial might be a better decision. Earthy, spicy and delicious. There’s a lot of awesome pasta to be had here and this is one of the best. Bonus points for the waitress bringing extra toasted bread to sop up the broth. Real New York bagels in Denver, or at least as close as we'll ever come. See ya later Einstein's.